6 Reasons to Build a Shed in Your Back Yard | Wright's Shed Co.
You want to build a shed for the right reasons — not just because they’re aesthetically pleasing, but because they’re functional too. If you’re working on rationalizing your backyard shed investment, here are the top six signs you “need” and not just “want” a new shed. If you have to park your car in the driveway due to the clutter in your garage, it’s clear there is a problem: not enough storage space. The first thing many homeowners do in this scenario is to clean out their garage and invest in organizational systems to help store the items where they should be parking their cars. That’s a smart move. But for the homeowner who has already decluttered and still has a garage that’s chock-full of stuff, it’s time to build a shed, especially for garden tools, which can take up a lot of space. Is your basement jam-packed too? What about your attic? If these two areas of the home are also full, then expanding storage space is even more of a necessity. Try to declutter first, then contact Wright’s Sheds for a quote. Storage space might be scarce, but you’re not ready to pay a monthly fee for it. Paying for a storage locker just doesn’t make sense when you can put that money toward a new shed — a permanent solution! Whether you’re a part-time furniture flipper or a full-time handyman, it’s critical to have a spot you can go to work and not have to worry about putting everything away after every session. 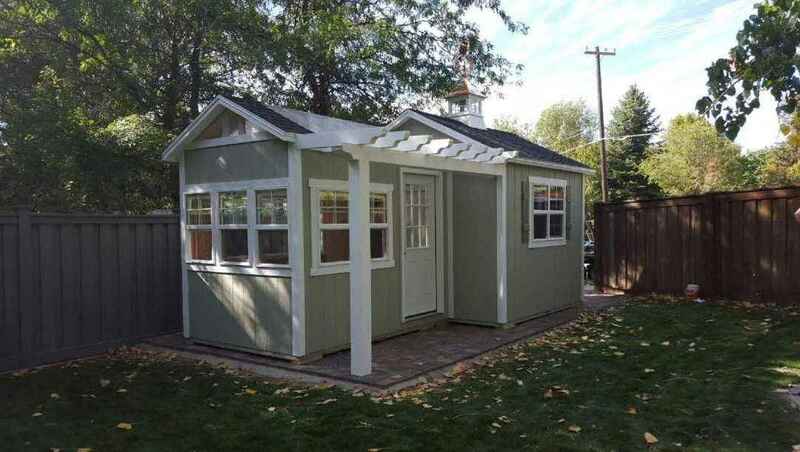 A shed can be your workshop. No need to worry about anyone tripping over power cords or tools falling on your vehicles in the garage. Maybe what has you clued in to your need for storage is your lack of organization. Even when you’re trying to stay organized, you’re finding your tools in different places — wherever they fit! Build a shed so you have one home for every item on your workbench and you won’t have to always look for what you need. If you’re upgrading your lawn mower to a premium ride-on model, you’ll need more room to store it. It probably won’t fit in an already-crammed garage, but if you build a shed, you’ll have the protection you need to keep your lawn equipment safe from the elements. Contact Wright’s Shed Co. today to get a quote. Our team is ready to build a shed for your yard, stylized to meet your needs.